Two Thanksgiving favorites made together in one side dish. 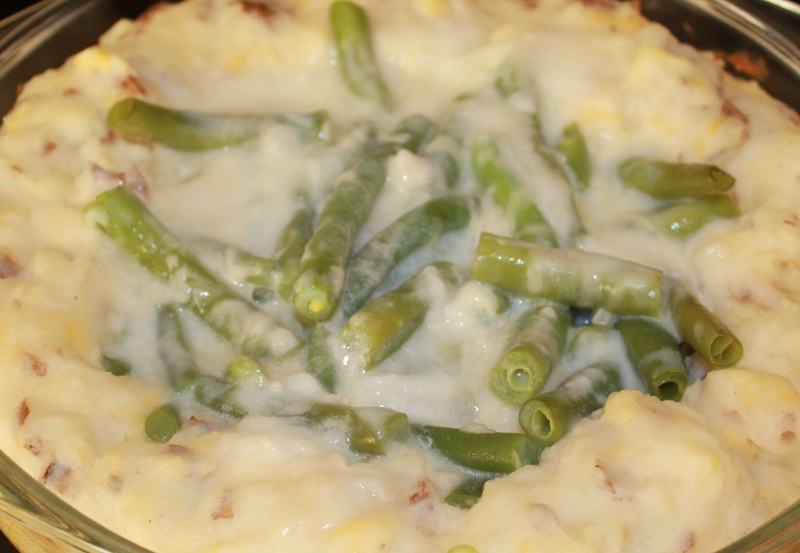 Green bean casserole in the center of a cloud of mashed potatoes. The sauce in the green beans creates a delicious gravy for the potatoes. Arrange green bean mixture into the well in the potatoes, bake covered for 35-40 minutes, or until heated through.